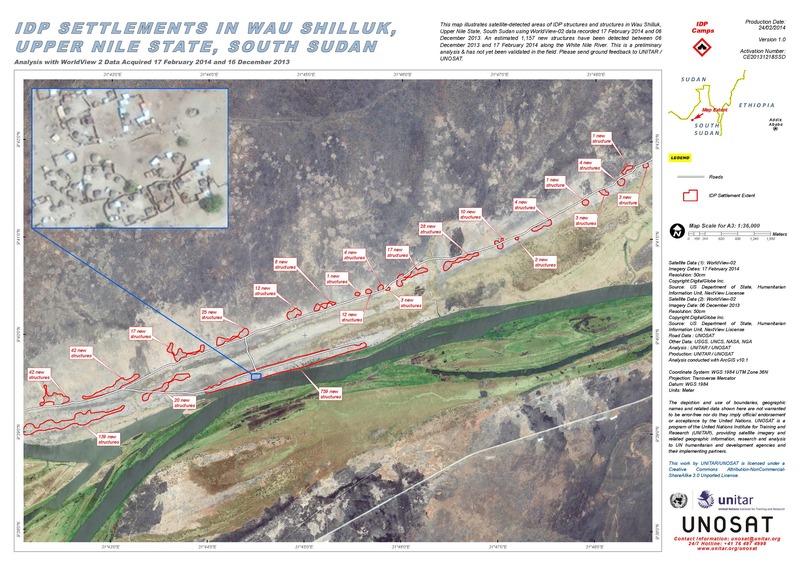 This map illustrates satellite-detected areas of IDP structures and structures in Wau Shilluk, Upper Nile State, South Sudan using WorldView-02 data recorded 17 February 2014 and 06 December 2013. An estimated 1,157 new structures have been detected between 06 December 2013 and 17 February 2014 along the White Nile River. This is a preliminary analysis & has not yet been validated in the field. Please send ground feedback to UNITAR / UNOSAT.